Home › Shaping our place › And the winner is…Lunchtime Musicians! And the winner is…Lunchtime Musicians! 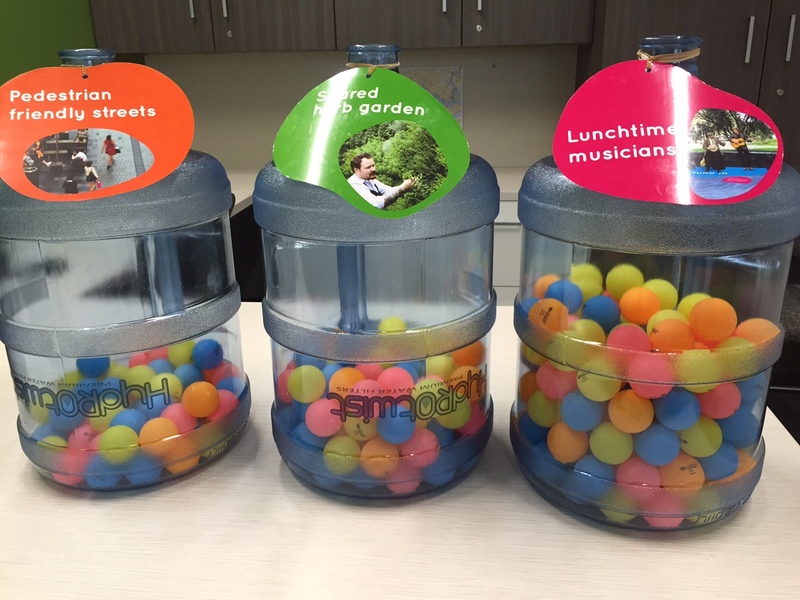 Thank you to everyone who took the time out to vote on our online poll or vote in person by placing a table tennis ball in a bottle with your preferred idea for Sydney Olympic Park. Sydney Olympic Park Authority is considering three possible initiatives to Shape our Place: more pedestrian friendly streets, a shared herb garden and lunchtime musicians. Feedback from the community shows a clear favourite in lunchtime musicians. We have now taken this feedback on to assist in our planning. 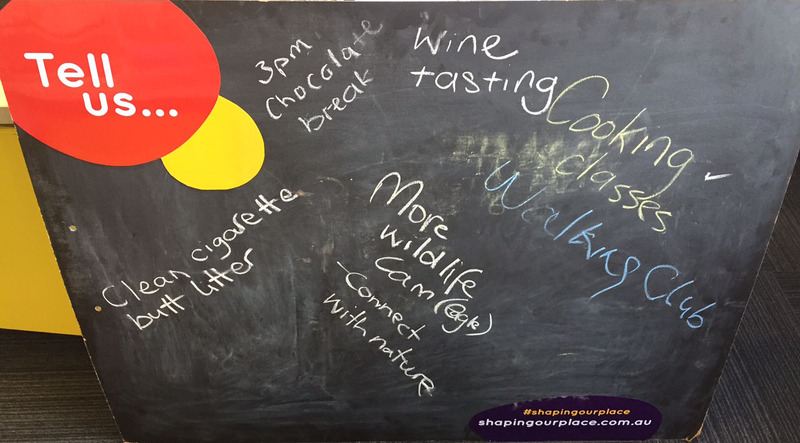 We also asked you to write any other ideas you may have to make Sydney Olympic Park a more enjoyable place to be, and here is what you told us…. Now watch this space, as we shape our place!